WBC#23 and OPBF Silver Super Flyweight champ Kongfah CPF (K. CP Freshmart) or Jakkrawut Majoogoen in his real name got an unanimous decision won over the Filipino Salatiel Amit who is a current Philippine Boxing Federation Super Flyweight champ at Wat Koet Kan Udom in Pathum Thani, Thailand on January 25, but he lost his belt. Because Kongfah failed to make his weight on Thursday therefore this is a vacant title fight only for Amit. But Thai fighter is bigger and has more power than the Filipino so he dominated since the first round and dropped his foe in 9th before controlled this fight until the last round. All of scorecards from 3 judges were read 97-92 and favored to the Thailander. Therefore this title still wait for new owner. 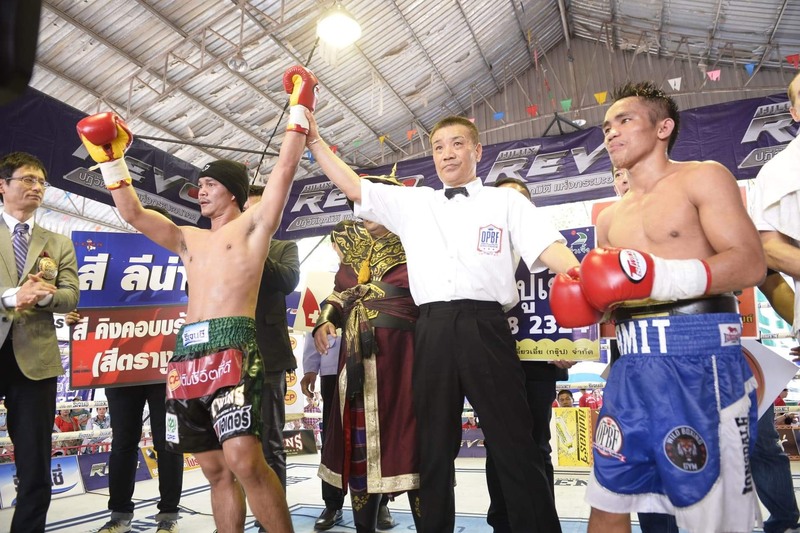 On a supporting fight WBA#2 and WBC#7 in Flyweight division Noknoi CPF (N. Sitthiprasert) or Nares Yianleang got an unanimous won over the Iranian, Mahmoud Lotfollahzadeh in 6-round bout. After this fight Mr. Piyarat Vachirarattanawong who is a promoter of Petchyindee Boxing Promotion, aka Diamond Promotion told to Thai reporters that he is planning to move up Kongfah to Bantam or Super Bantamweight in next fight. All of Thai boxing fans hope you still have a good performance in the new weight class.